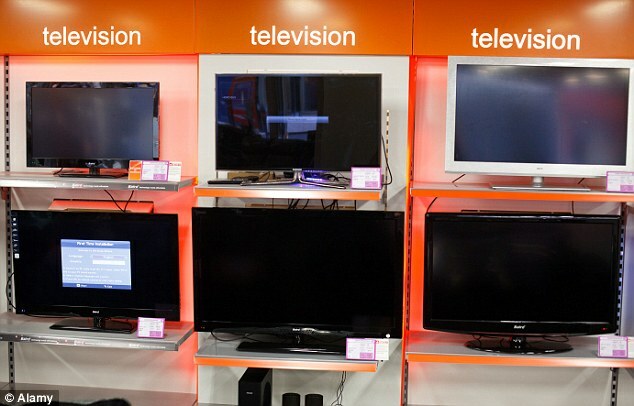 The baying of Jeremy Kyle’s studio audience almost drowns out the voice of the BrightHouse sales assistant, suddenly perky at the sight of my interest in an LG 47in Smart 3D TV on full volume. ‘Can I help you?’ she yells. But the information I need is on a small placard carefully placed at the foot of the set. I can buy this TV now for £1,788.15, it says, or pay £22 a week for 156 weeks at 64.7 per cent interest. That’s a total cost of £3,432; almost double. ‘Will I need a deposit?’ I ask. ‘About £20, maybe £25 — that will get your account active,’ another assistant assures me, breezily. I say I’ll think about it and walk out of the store. I’m in Stratford, East London. Along the street from BrightHouse — the UK’s largest ‘rent to-own’ (that’s hire purchase, or ‘on tick’ to you and me) retail store — is The Money Shop (‘We Buy Gold’). On the other side of the road is Showman Amusements arcade, where sallow-faced people in sportswear feed coins into fruit machines. You get the picture. And it couldn’t be more depressing. But surely what’s happening on High Streets up and down the country needs to be looked at. At the tail-end of a recession caused by a global addiction to credit, I can pick up a ‘rent-to-own’ TV that will eventually cost me £3,432 — with a £20 deposit and no job! And not just in this down-at-heel part of London. I can get a similar deal at any one of 287 BrightHouse stores across the country. And with plans for up to 400 more outlets, the odds are there will be one near you very soon. All around Britain, at sites not already snapped up by pawn shops, pay day loans stores or betting shops, BrightHouse is popping up to serve the poor and the desperate, people who usually can’t get credit anywhere else. In return, its customers must pay rates of interest of up to 69.9 per cent and suffer heavy-handed demands for cash or goods back when they fall into arrears. ‘BrightHouse is one of the more expensive ways for people to buy things they think they need,’ says Jane Symonds, head of service delivery at the Money Advice Service. ‘We live in a society that demands instant gratification, and for people who can’t find cheaper alternatives there is BrightHouse. BrightHouse used to exist as Crazy George’s and is controlled by Caversham Holdings, which is based in Malta, but pays taxes in Britain. Its business model is simple. It will give credit to pretty much anyone — around half of its customers are wholly or partially on benefits — but they must pay in cash, weekly, at the store where they bought their goods. Items are clearly labelled, so clients can see exactly what they must pay each week, but insurance is built into the total price. Last year, a Daily Mail investigation found that the built-in insurance for a £1,400 BrightHouse TV came to £3 a week — at a time when Direct Line was selling £50,000 of insurance for all the items in your home at £2.28 a week. And yet there is no legal requirement for customers to buy insurance. Until last August, the cost of items was also inflated by an ‘Optional Service Cover’ charge which, again, debt advisers argue was unnecessary. The company strongly denies mis-selling. But whatever the rights and wrongs, the formula works. According to company records, BrightHouse has 260,400 customers on its books, an increase of 13,400 during the first quarter of this year. Business is booming, with revenue up 11.4 per cent this year to £297 million. Last year, gross profits were £149.6 million. Yet life as a BrightHouse customer is not as rosy. As I heard repeatedly from customers, it can be expensive and sometimes very unpleasant. ‘As soon as you miss a payment, they’re on the phone to you and they’re not very polite,’ says 43-year-old plasterer Marcus Bremner from Gravesend, Kent. When he was young, Marcus racked up a poor credit record that still haunts him. The only people who would give him credit were BrightHouse. ‘They’re incredibly friendly when you go in the store,’ he said. ‘They’ll make you tea and offer sweets to your kids, and call you by your first name. That stops once you sign on the dotted line. ‘Over the years, I bought 11 items from them — TVs for us and the kids, washing machines, a Play Station, stuff like that — and I hardly ever missed a payment. ‘When I did, it was just because I couldn’t go into the shop. When that happens you have to pay that week and up front for the next. ‘It’s expensive, but it was the only place I could go. Most of my purchases come around Christmas, when things are tight, but you want to do something nice for your kids. In mid 2012, however, Marcus fell ill with thymic hyperplasia — a swelling of a gland in his chest — and had an operation to have it removed. It’s meant he hasn’t been able to work for more than a year and, being self-employed, he hasn’t been able to keep up with the payments. ‘BrightHouse would ring and keep ringing constantly. They didn’t care when my wife explained what was happening and asked them to leave me alone for a while,’ said Marcus. ‘They sent demanding letters even though I had tried explaining what was wrong. ‘Then, one day, two heavies turned up. I say heavies because they were like two doormen. They said they were from Caversham Finance and were here to collect goods. ‘They were giving the impression they were bailiffs, but they had no court order and I told them they couldn’t come into my home. ‘They went away, but I wonder what the reaction is when guys like this turn up on the doorstep of women on their own or vulnerable people who don’t know their rights. ‘I began to go over the contracts I’d had with BrightHouse and became really annoyed with them and with myself. While BrightHouse objects to the term ‘heavies’, preferring to describe them as ‘trained members of our store-based teams’, their tactics are notorious. The Consumer Action Group website, where people share their retail experiences, good and bad, has entire forum strands devoted to them. This posting, from a struggling single mother, is not unusual: ‘I have three agreements with BrightHouse to a total of £38 a week, taken out in August. But due to an unexpected council tax bill I missed a week — then once you miss one, it’s difficult to catch up with all the charges. ‘Since I defaulted on Christmas Eve, this one guy has been to my house around seven times. ‘I answered the door once and told him I would be paid on Friday to get rid of him. Thursday comes along and he’s at my door again, so I don’t answer. I also don’t answer any of the 30-plus calls I get from them each day. When we asked BrightHouse to comment on such allegations of heavy-handedness, they said that they couldn’t comment without full details. But they issued a statement: ‘We always seek to work with customers who have missed payments to help them find a way of getting back on track. ‘This includes offering to downgrade the item to a less expensive model; returning the item for a short period of time while freezing payments; or rewriting the agreement so that any outstanding payments are moved to the end of the agreement. We recruit staff from local communities and train all employees to give helpful and fair service. The chief executive is Leo McKee, a former managing director of Woolworths and previously an executive at Thorn EMI and Levi Strauss. I requested an interview with Mr McKee, then with anyone at all from BrightHouse, but I was refused. However, in a recent newspaper interview, Mr McKee spelled out the more social aspects of the business. 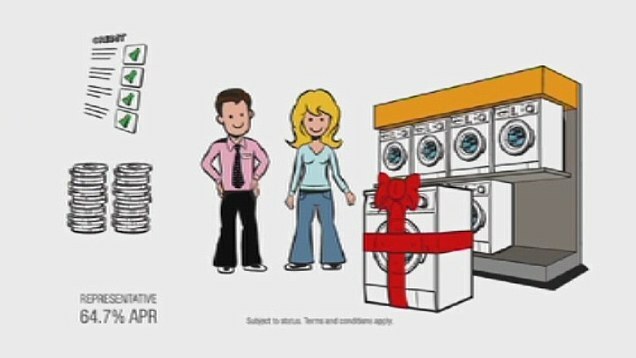 ‘What you have to appreciate is that, for my customer, it may well be that the alternative to buying the washing machine is they go to the launderette every weekend,’ he said. During research for this article, I spoke to several people who had been lured down this path. You may argue that they should have known better. But as one said to me: ‘When you can’t get the job you want so desperately and you can’t buy the things you want to for your children, you feel worthless. The Labour MP Paul Blomfield has garnered cross-party support for a Parliamentary charter to ‘stop the payday loan ripoff’. He would like to extend such scrutiny to companies such as BrightHouse. ‘This is the retail version of the pay-day loan, targeting the poor and vulnerable and hitting them with outrageous rates of interest,’ he tells me. 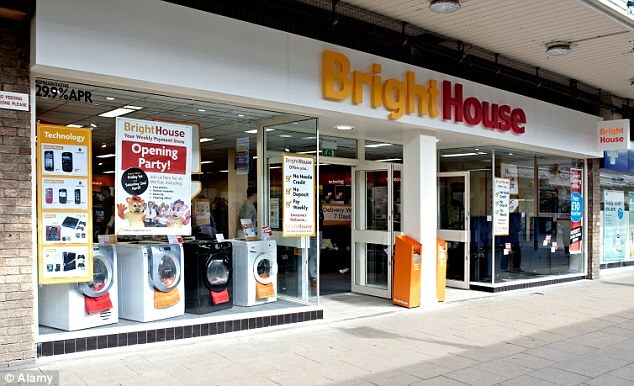 In a statement, the company said: ‘BrightHouse takes pride in helping customers furnish their home with household goods and products that many people take for granted, by offering them top quality brands on affordable weekly payments. ‘Our all-inclusive cash price includes BrightHouse’s unique service proposition — that means delivery and installation; repair and replacement; home move service; and accidental damage, fire and theft cover, giving our customers complete peace of mind. At a time when even modest company success is cause for celebration, I, for one, find it difficult to raise a cheer for this one.